The cornerstone of the expanding Aviation Center at The Donaldson Center in Greenville, South Carolina, the 111,000 sq. 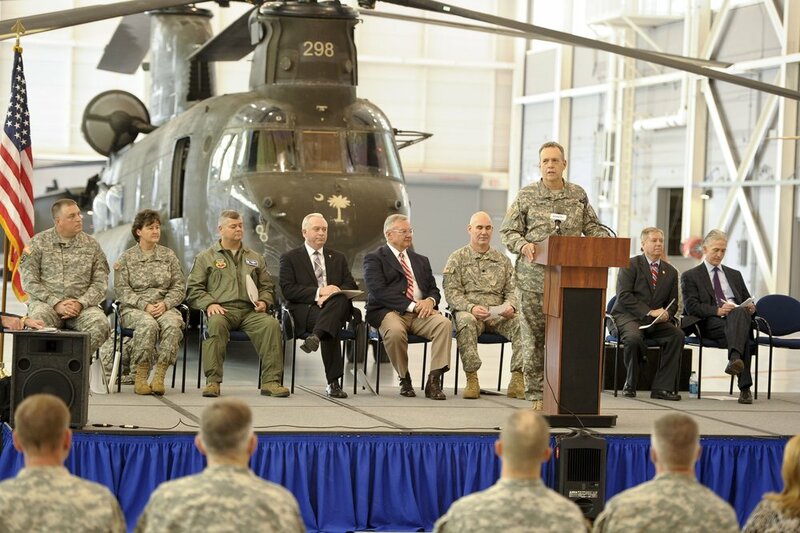 ft. Aviation Support Facility houses a fleet of Chinook Helicopters for the SC National Guard. The project was managed directly by the SC National Guard Facilities Department and architectural services were performed by John K. Powell, AIA while at LTC Associates. Work related to this project was performed by John K. Powell, AIA NCARB for and under the professional license of LTC Associates, Inc. As with all architectural work, the success of this project was the achievement of a great team to which credit and thanks are due.